- Hi Ashley. You will play Marcus/Granny in the upcoming production of Liz Pichon's Tom Gates. Can you tell us more about the production, your character and the rest of the cast? We are in the throws of putting together a completely fresh story written by Liz Pichon and Neal Foster, who is also our director, based around the world created by Liz. I'm playing Marcus and Granny, which is tremendous fun. Moaning Marcus Meldrew, goes to school with Tom, but isn't necessarily friends with Tom and his gang. He is an outsider and knows it, and the way he deals with this is by criticising. He is smug and gleeful at Tom's mistakes. Granny, is quite the opposite. Grandad and Granny are referred to as The Fossils, they are wild, extravagant, maverick grandparents. They have a terrific sense of adventure, and are full of surprises! Just you wait and see! I'm having a ball working with my fantastic cast mates. The characters are so clearly defined and varied and that inherently brings together an eclectic mix of actors, which is hugely exciting to be part of. - You have started your career when you were very young. How do you feel about it? Yes, I began working professionally at the age of 12, and have been very fortunate to have been involved in a variety of projects. I have been blessed to have worked with some fantastic people, and I consider my work to have been my training. I have learnt so much from just being in this environment. I am ever thankful to Neal Foster for giving me, in recent years, so incredible roles in productions that I have relished being part of. 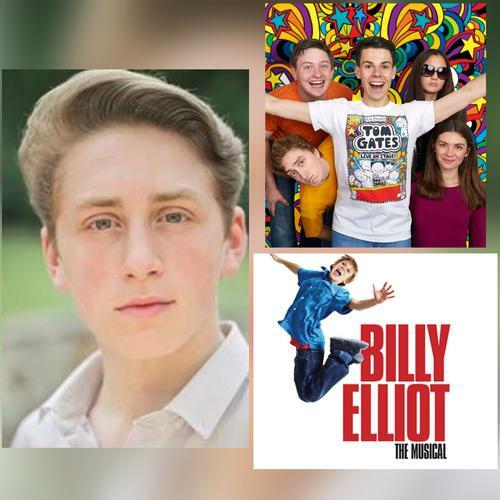 - What are your memories of Billy Elliot? Too many to mention, we'd be here all day! Being part of such an enormous juggernaut of a production was incredibly thrilling. Being in the company of such talented actors was also a huge learning curve. I am thankful that many of these people have remained friends. It is the most beautiful production, and I am ever grateful to have played a part in its history. - Do you prefer to work in theatre or cinema/TV? Theatre is my first love. Primarily because I've done more theatre than television and film. I find the relationships you form with people in theatre and the way in which you work absolutely thrilling. You work very closely with people for a certain period of time and then go your separate ways, which can be difficult. Also, theatre is immediate, which is terrifying and wonderful in equal measure. You step out into the lights and you have perhaps a thousand people watching you, and their reaction is immediate. It's hugely exciting.